It was the summer of 1984, and I sat at the dining room table writing. Ironically in the background, the 1963 film Jason and the Argonauts played on the television. My imagination was on fire since later that day I would be dungeon mastering some neighborhood kids. I was staying at my grandmother’s house in Philadelphia, and these were new players. I had just started reading Ian Livingstone’s Deathtrap Dungeon, so of course that inspired me to make a similar scenario. With some graph paper and a pencil, I toiled away filling rooms with monsters and traps. My grandmother had an ornate dining table, with metal studs on the legs. The tall chairs that complemented it seemed like something from Hrothgar’s mead hall in Beowulf. One of my cousins walked by and suggested I look at the National Geographic magazine she just finished reading. It had an article about exploring a 140-year-old ship under arctic ice. This was a great stuff. It seemed like all around me there was high octane imagination fuel to inspire my games. Everything about Dungeons & Dragons was new, and there just was not enough hours in the day to play it! Fast forward several decades, and countless players are trying to recapture those early days. You know the ones where you played all weekend long in a Mountain Dew induced stupor? When there was no internet, and RPG information came from print magazines or the local hobby shop? Most importantly, when YOUR imagination was the primary force behind the game. Sure, there was outside influences, but nothing like the media overload of today. In those early days of the hobby we were less connected to the world, but maybe a tad more connected to our own creative process. For years now players have tried to re-capture those early days by dusting off older editions, making retro clones, and soaking up any nostalgia they can find. While those things may be helpful, I would suggest it’s only part of the solution. Social media is replete with articles, opinions, and even entire web series dedicated to watching people play Dungeons & Dragons. There is certainly value in all these things, but it may not be the medicine you’re looking for. Instead you really need to go back to basics, to simpler days when your own imagination did the heavy lifting. So, you’re a busy adult with a family or maybe a career that is demanding, or worse both! It’s hard work trying to make it to scheduled games and even harder to design them. You look to blogs like this one, and other places on social media for inspiration and ideas. Then it becomes easier just to play in someone else's imagination entirely, and soon the game sessions don’t have that “magic” anymore. Hmmm, it must be the edition, or maybe you’re just tired, or perhaps you have just outgrown this silly game? All of those are wrong! You just need to make time for your 10-year-old self to fire its imagination back up. You cannot allow yourself to become so saturated with outside influences that you can no longer think for yourself. Now I’m not suggesting you stop being inspired by the works of others. Liberally steal ideas from everything and make them part of your sessions or character! 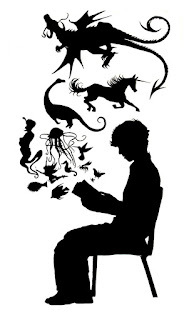 But if you want to head down the path of the old days, you absolutely need to re-kindle your own imagination. This could be while you’re driving in your car, enjoying your morning coffee, or just a walk through the park. Every time an idea pops into your head jot them down! This could be on a 3x5 card or via an email you send yourself. Don’t let that fire burn out! Eventually you will have enough imagination fuel gathered to start your engines. You know, the 10-year-old engine that was full of wonder and approached the game wide-eyed at every turn? Sure, we will probably never get those days back fully, but damn we can try. Like most things, role-playing games benefit from everything in moderation. Do your best to balance using the material of others with your own. As kids playing the game, we HAD to make stuff up. An allowance alone did not pay for many game books or modules. Now as an adult, you may be bankrolled to purchase anything you want. My game closet is evidence of that alone, but I still use the material as inspiration. I have never allowed myself to be completely pulled away from home brewing RPG material. In closing, remember that Dungeons & Dragons is about sitting around with some friends and using your imagination. As an adult, I find the creative and playing process just fantastic escapism. I love nostalgia as much as the next player, but the continued experience of the game is much more satisfying. These tips may not work for everyone, but they have kept my RPG engines running for decades. 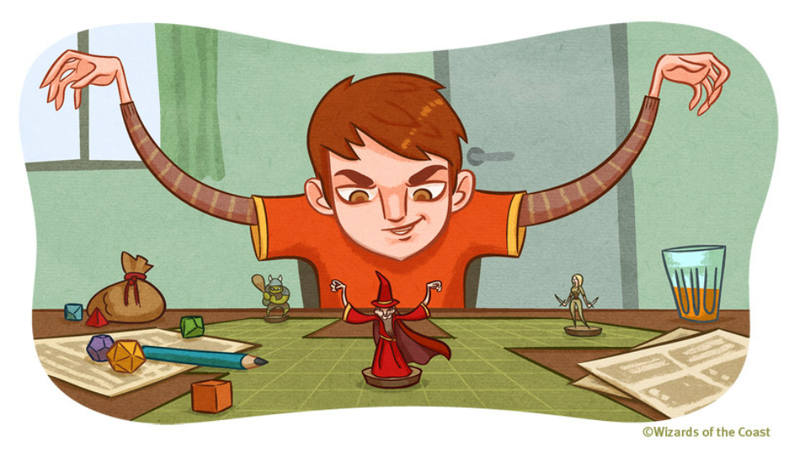 Now that my own son is a 10-year old Dungeon Master, I see the process starting all over again. Wow, what awesome adventures await him and his friends!